Equities start the day higher as D-Day finally arrives. Yellen and her crew are loaded up in their Higgins boat armed with higher rates and promises of labor market strength ready to assault Omaha beach. 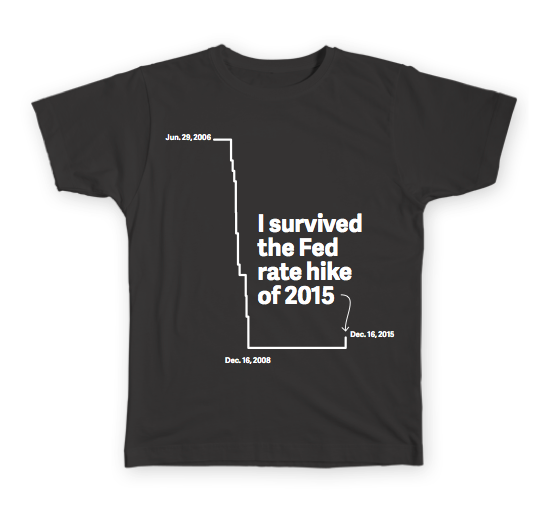 So….did they hike? Didn’t they? Stay tuned because I can’t cut to the big news this early in my recap otherwise you’d hit the funny link and promptly delete this (like 99% of people do anyway). Decent rally yesterday but most of it was position squaring / oversold bouncing so let’s not break out the party favors just yet. Has anyone been successful in avoiding spoilers about this new Star Wars movie? I’ve been pretty good about dodging the internet lately but I’m wondering…will there ever be a truly “out of the blue” surprise ever again? Imagine The Usual Suspects coming out in 2015, “he’s keyser soyze” would be spoiled in 1.2 microseconds. We live in a world where it’s basically impossible to avoid TWTR / Text Messages / idiot friends / random Bloomberg news headlines / email which bums me out. Where has the magic gone? We are to interconnected, gimme some space yo! Alright, I filled enough of this first paragraph with random musings, let’s move on because you came here for the big Fed news!! We closed on the highs of the day, 2,074, up 1.5% but I doubt we can attribute all of that to the Fed. We’ve been oversold for awhile and credit has finally calmed down a bit so that’s goosed us up. I think we take one last shot at 2,100 where we will finally close for the year (remember I said 2,103). Guess what’s about to happen people…the Prime Rate is about to go up! Anyone remember the last time that happened? I don’t, heck all I know about Prime is that it tastes good medium rare. Uncharted waters right now but would we have it any other way? No! Bring it on! Anyway, let me sum up by saying you just witnessed history. They will write about today’s decision in finance history books that you pay $210 for and read once (then sell back for $28). Will historians be kind to Janet? I think they will because it’s better to have small gradual rate hikes than one giant one because our central bank got behind the curve. We have, in Janet Yellen, an amazing chairwoman. She is doing us all proud so don’t believe the haters, they are the one’s that bemoan an expansion in its 78th month as “fake”. Rock on everyone, USA USA USA. Final Score: Dow +128bps, S&P500 +145bps, Nasdaq +152bps, Rus2k +154bps. I have three links tonight because they are all awesome and I want them to stand on their own. The last is a guy ski jumping off an old, decrepit ski jump in Michigan. Oh and he’s jumping off it in regular skis while landing backward. Wow.